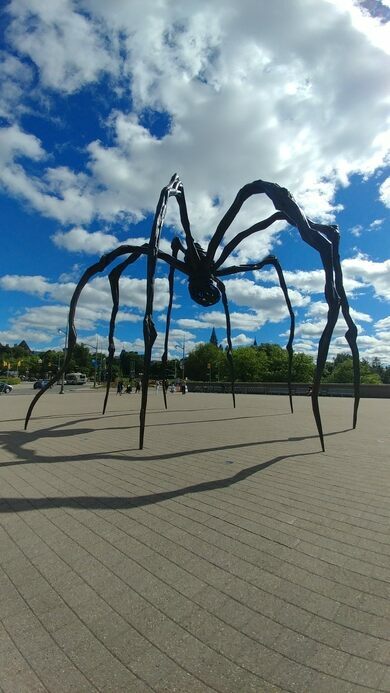 Standing outside of the Tate Modern at one point, Louise Bourgeois’ extraordinary sculpture, Maman (Mother), is a 30-foot-tall spider crafted of bronze, marble, and stainless steel. 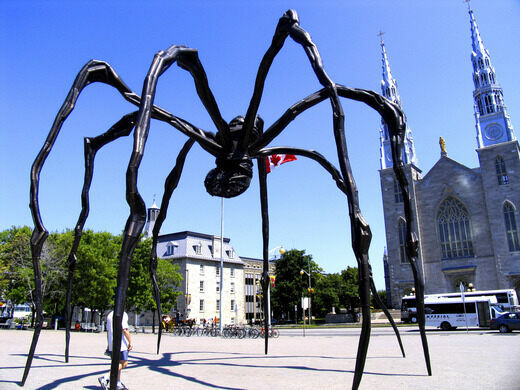 It is one of six such spiders built by the acclaimed artist who was 95 at the time of their design. Part of the inaugural Unilever Series in the Tate’s Turbine Hall, Maman greeted the first visitors to the gallery in May 2000 and millions more while it was on display until December of that year. 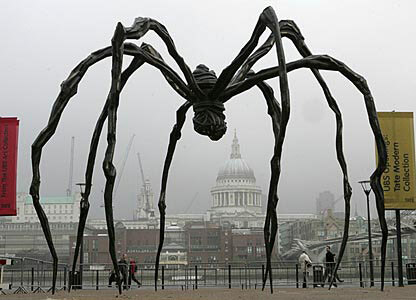 The spider, so popular with tourists and locals alike, returned to the Tate Modern in 2004. Then, it was displayed on the bridge across the Turbine Hall. 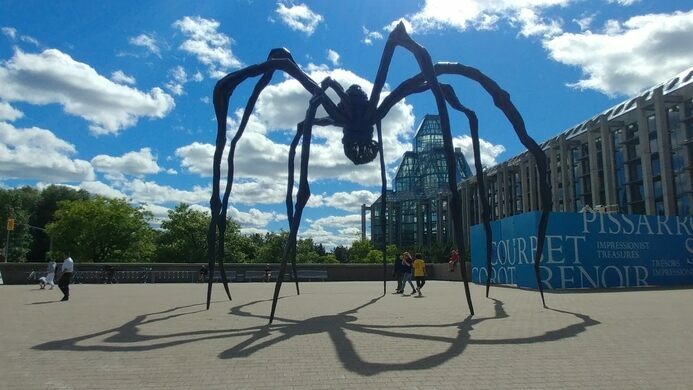 Maman is currently displayed outside of the entrance to the National Gallery of Canada in Ottawa, Ontario, Canada after being purchased by the Gallery for $3.2 million in 2005. Born in 1911 in Paris, Bourgeois is regarded by many as one of the most important artists working even a century after her birth. She has worked with printmaking, sculpture, installation, performance, and much more. to Mexico City, Cambodia, Ogden, Utah, and more.